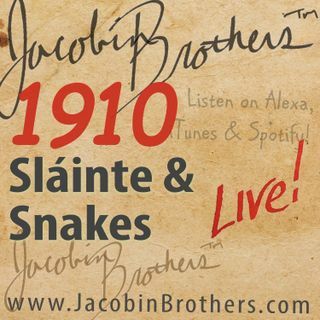 JBL1910 / Sláinte & Snakes | Jacobin Brothers™ Live! St. Patrick drove the snakes from Ireland, invented four-leaf clovers and the Irish drinking song — or did he? Separate fantasy from fiction and learn a couple of spoilers in this discussion of the global phenomenon of St. Patrick's Day.